NSCIA, Abuja: The month of Ramadan (is that) in which was revealed the Quran, a guidance for mankind and clear proofs for the guidance and the criterion (between right and wrong). So whoever of you sights (the crescent on the first night of) the month (of Ramadan i.e. present at his home), he must observe fasting that month… (Q. Al-Baqarah 2:185). The Nigerian Supreme Council for Islamic Affairs (NSCIA), under the leadership of its President-General and Sultan of Sokoto, His Eminence, Alh. Muhammad Sa’ad Abubakar, CFR, mni, felicitates with the entire Muslim Ummah on the auspicious occasion of Ramadan, 1438 A.H. The Council prays that Allah grant the Ummah the opportunity to maximise the benefits and blessings of the Holy Month. It is appreciative to note that, since the last Ramadan fast, the National Moon Sighting Committee (NMSC) of NSCIA, advises the President-General on the commencement of every lunar month. Based upon that, the President-General, always makes monthly declaration of the commencement of every lunar month. Following the advice of NMSC, the President-General enjoins the Nigerian Muslim Ummah to search for the crescent of Ramadan 1438 AH on the night of Friday, 26th May, 2017 equivalent to 29th Sha’ban 1438 AH. 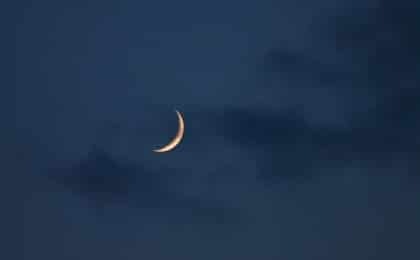 If the crescent is actually sighted by Muslims of impeccable characters on the said night and communicated to the appropriate quarters, His Eminence would declare Saturday, 27th May, 2017 as the first day of Ramadan. If, however, the crescent is not sighted on that day, then, Sunday, 28th May, 2017 automatically becomes the first of Ramadan, 1438 AH. The Council hereby enjoins the Muslims all over the Country to be on the lookout for the directive of His Eminence, the President-General of NSCIA, on the commencement of the 1438 AH Ramadan fast. As we wish all Nigerian Muslims happy Ramadan in advance, we enjoin each and every Muslim to use the spirit of Ramadan to seek the face of God towards our national development. We also urge all of us to seize the opportunity of Ramadan to pray to Allah to grant our President, Muhammadu Buhari, GCFR, a speedy recovery and the wherewithal to pilot the affairs of Nigeria to greatness (Ameen).